There is nothing more frustrating than a garage door that is not functioning properly. Whether your garage door will not open or close, the spring has broken, or the door has fallen off its track, there are plenty of common garage door problems that homeowners often experience that cause their door to become unusable. When your garage door stops working and you are unable to find a working solution, it is important to get the help from a local garage door company that has the experience and knowledge needed to get your door up and running again. Whether you need maintenance, installation, or garage door repair in Indianapolis, there’s not a better company to contact than Garage Door Doctor to handle all of your garage door needs! Our team of garage door experts have years of experience repairing, replacing, and installing a variety of makes and models of garage doors as well as garage door openers. 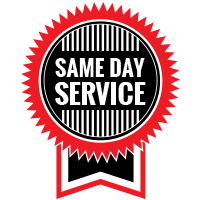 Unlike other local garage door services, Garage Door Doctor is happy to offer same-day service and appointments as well emergency garage door services in Indianapolis. Our experience, transparency, and range of services have led us to become one of the best garage door repair companies! We have been providing reliable and affordable garage door services in Indianapolis and the surrounding areas for many years. Whatever your garage door needs, you can rest assured that the professionals at Garage Door Doctor will be able to help with the following garage door services. Whether you need garage door installation, garage door opener repair, or garage door maintenance in Indianapolis, we can help! Our team services all makes and models of doors and openers, so when your doors are malfunctioning, you can rest assured we will be able to fix the problem. In addition, we also carry quality garage doors and openers from some of the best manufacturers around. Commercial garage doors are vital for the functionality of a business. Our Indianapolis garage door company carries a selection of commercial garage doors from leading industry manufacturers, to meet the needs of just about any business. We also specialize in commercial garage door repairs and maintenance. Scheduled Indianapolis garage door maintenance will ensure your garage door and opener is working properly and reduces the risk of future expenses due to repairs or replacement. Our garage door experts will inspect your door and opener in search of any flaws, damages, or areas of concern. Whether it’s the door or garage door opener that isn’t working properly when the garage door system malfunctions it can certainly be frustrating. Whatever is causing your garage door to operate inefficiently, our experienced technicians will quickly find the cause of the problem and provide the necessary repairs to have your door running smoothly again. With the heavy weight of a garage door, it is not uncommon for garage door springs to break eventually over time. Without springs, a garage door may not open or close properly. When you need garage door spring repair in Indianapolis, call the experts that specialize in garage door torsion spring repair. Garage door issues can happen at any time, sometimes causing a huge inconvenience. A malfunctioning garage door is a commonly an urgent problem for many people, and that is why we offer 24-hour garage door repair and services. 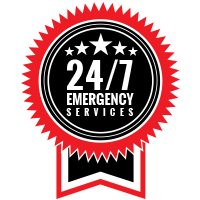 Our technicians are prepared for just about any kind of same day emergency garage door repairs. When homeowners have problems with their Indianapolis garage doors and garage door openers, there is only one team to call: Garage Door Doctor. Our team is committed to providing the best local garage door services in Indianapolis and the surrounding areas by providing professional, reliable, and affordable residential and commercial garage door services. To receive a free garage door quote, contact our garage door technicians today!